They left a week late. 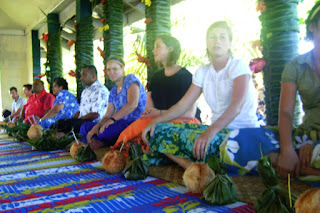 The training schedule usually dictates the incoming group stays in Apia for approximate- ly 10 days, and then on their second Saturday in country, the newbies leave for the training village. In the past the Welcome Fiafia has been held the night before, so the trainees get one last hurrah before heading out into the cold. But for whatever reason this year, the trainees stayed in town an extra week. And then yesterday afternoon, they headed out. There’s one other difference with group 83: they have 4 different training villages. While group 81 took the village of Fausaga by storm back in October 2008 with all 13 of us living with host families in the village, and group 82 doing the same last year with the village of Manunu, the 83s have been split into 4 sub-groups. I’m pretty sure the 4 villages are somewhat close to one another—I heard it’s approximately 5 miles from one end to the other—but the 4 villages don’t necessarily border each other. When the volunteers heard about this strategy, there were mixed feelings. 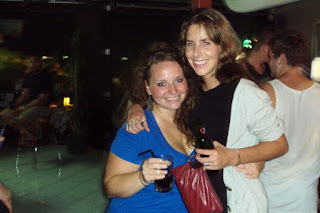 On the one hand, we liked our experience of the group unity that is forged in having a common village experience. After two and a half weeks in a Apia, group 83 knows one another pretty well, and it’s lousy to have to split up. On the other hand group unity is more difficult to achieve with 20 trainees, so it might be less overwhelming for the volunteers and the people in the village to split the large group into more manageable pieces. Given my residence in Apia and group 83’s outgoing nature, I’ve been able to interact with them quite a bit since they arrived, and I’ve been in limited contact with a few via text message since yesterday. It’s been entertaining reading about their reactions. 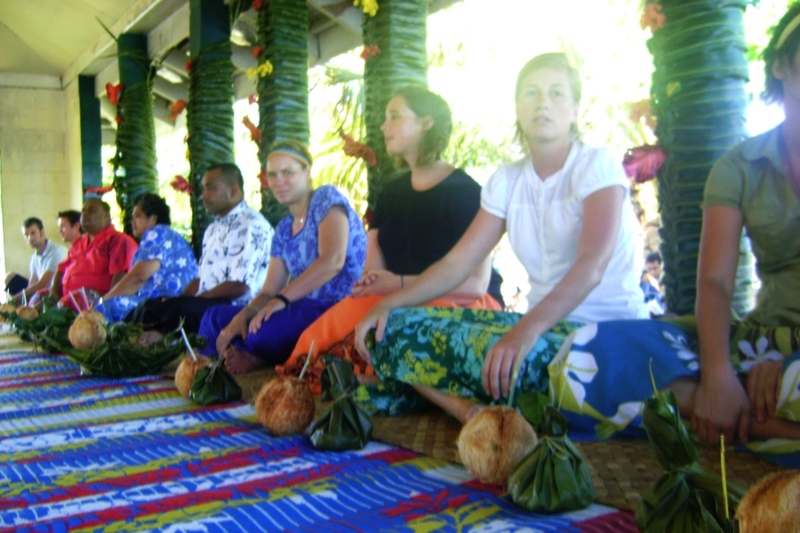 I recall in the day or two leading up to my groups first trip to the host village, the Training Director warned us, “Just remember: you signed up for the Peace Corps.” Those first 10 days were spent at an air-conditioned hotel in downtown Apia. Going from there to the training village is a mix of The-Honeymoon’s-over and you’re-getting-pushed-into-the-deep-end. It can be overwhelming at first. Survived my first day. Lots of awkward moments but its expected. Reading these feels like listening to one of my cousins talk about high school: I’m not jealous of their situation at all, but it’s mildly entertaining to watch someone else have to go through the same growing pains, and I can’t help but feel a little nostalgic. Being stuck in the training village was lousy. And I miss it a little. Samantha and Olivia from group 83. 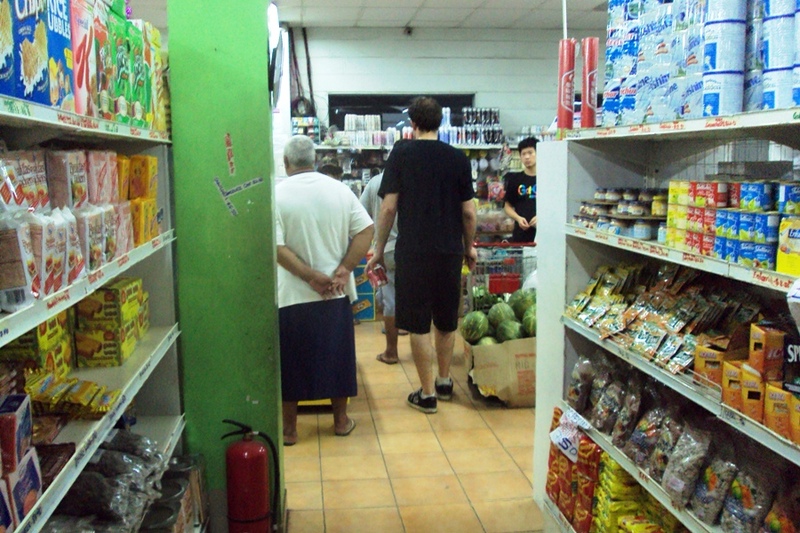 The tall palagi guy who manages Farmer Joe shopping at K.K. Mart. 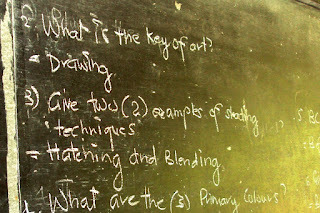 This was posted on the chalkboard when I walked into my 9.2 class one day last week. 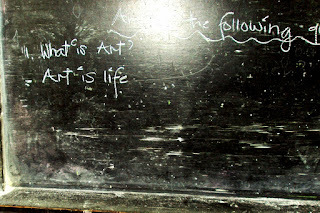 Apparently in reviewing for the upcoming Visual Arts exam, the art teacher gave the sample question, "What is Art?" 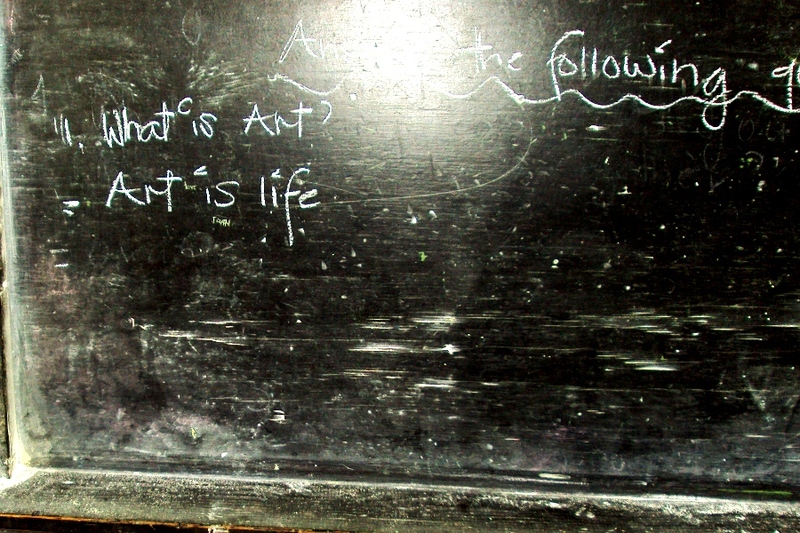 And the correct answer, "Art is life." I found this hilarious. 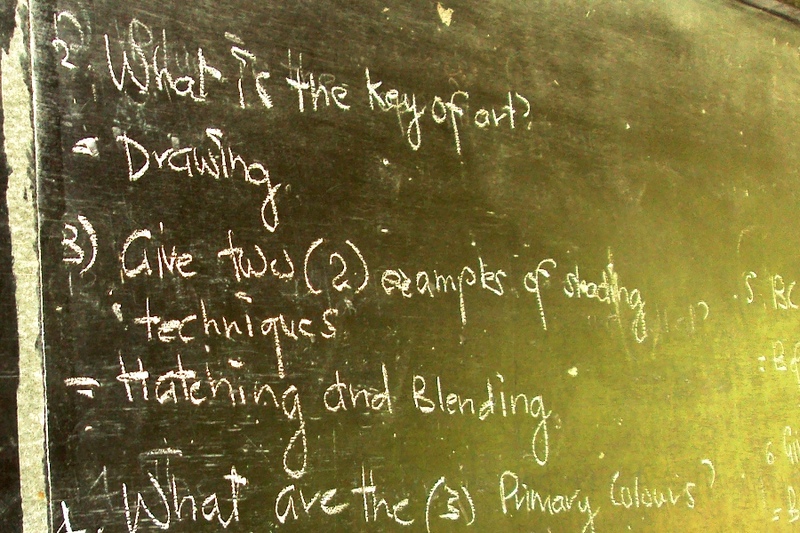 The next question: "What is the key of art?" So, by extension, what is the key to life? Hey Matt - I love the pic of the Farmer Joe guy shopping at KK Mart! Too funny. do you slink about with yr camera always on the ready to catch neat shots like that!? I am pretty proud of myself as when I read the texts you were getting from Group 83 from their villages I guessed it was my daughter Jenny who texted about the cold showers. I finally got to talk to her last night and she confirmed it. I think she thinks I have spys there as she could not imagine how I knew that she had texted that :) Thanks for keeping us updated since they have no internet!! !